How we have combined our proven methodology with a clever team of consultants to achieve customer satisfaction. For the second year in a row, Kilimanjaro Consulting has retained our status as an MYOB Diamond Partner in MYOB’s Enterprise Division. In previous years we were an MYOB Platinum Partner, and we were the first MYOB partner ever to achieve MYOB Diamond Partner status. This is the highest privilege in the MYOB Enterprise Division and reflects our position as the premier implementers of MYOB EXO and MYOB Advanced. Our status as an MYOB Diamond Partner comes as a result of years of helping our clients to continuously improve their business efficiencies through the clever use of creative, innovative and proven technology. Kilimanjaro’s Managing Director, Ronnie Baskind said “Our first priority is our clients; when they succeed, we succeed. It is important for us to really understand our clients’ needs and to deliver solutions that will improve their efficiency and streamline their processes”. Implementing ERP software may seem complex and daunting. As an MYOB Diamond Partner, Kilimanjaro has refined their proven methodology to guide clients through their implementation journey. We can ensure a low-risk implementation, and the best possible outcomes for your business. It is no secret that behind our success stand our people. We pride ourselves on our highly proficient team of sherpas, and on the diverse range of services that we offer our clients. The relationship between a business and their enterprise partner is long-lasting, and it is therefore crucial for both parties to be on the same page to successfully achieve business goals. In this blog we discuss how to select your ERP implementation partner. 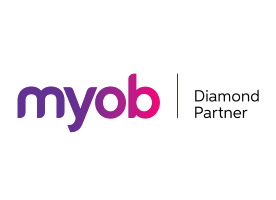 We are honoured to again be awarded MYOB Diamond Partner status. If you are looking for an implementation partner with a track record of good outcomes, please contact us.